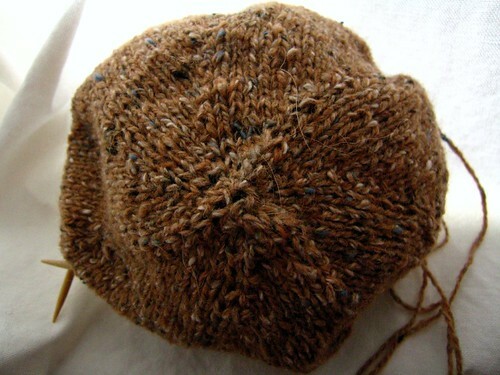 I’m trying to knit a quick hat for my grandmother (if you’re reading this and know my grandmother, shhh, it’s a surprise), and looking at it today, with the ball of yarn stuffed into it, I realized that it looked awfully like a knitted breast. Ha! Well, I am hoping it’s going to turn into an actual hat soon. P.S. If you’re curious about what Brooklyn Tweed looks like, The New York Observer did a nice little article about him, the state of knitting in New York, and Ravelry, in this week’s issue.